The BuzzBuzzHome News team has been monitoring construction progress at The Station for more than half a year and we’re always astounded to see how much headway has been made on the project since our last visit. With one crane in the air and a second being assembled on the ground, we thought it was time to take our famed video-equipped Drone 2.0 for a fly by to get an aerial view of all the action. Check out our fly by video up top and some photos of the construction site below! 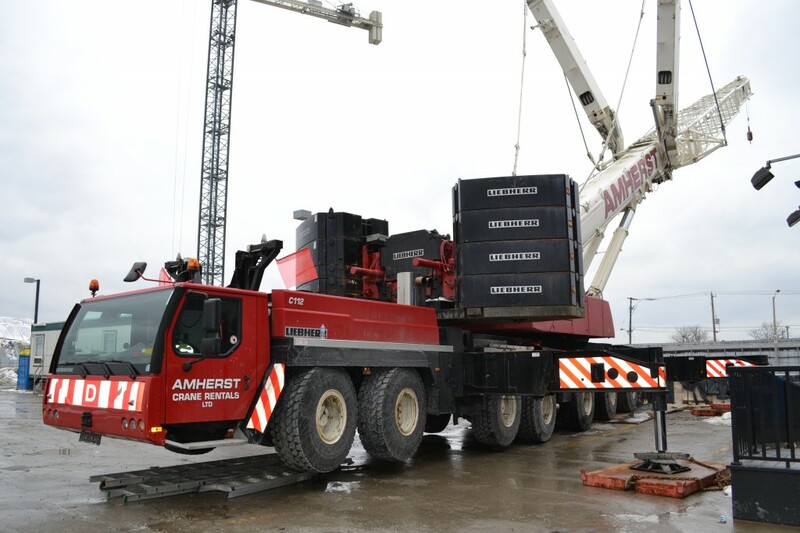 This massive machine is responsible for assembling a large segment of the crane, lowering each piece into the site. 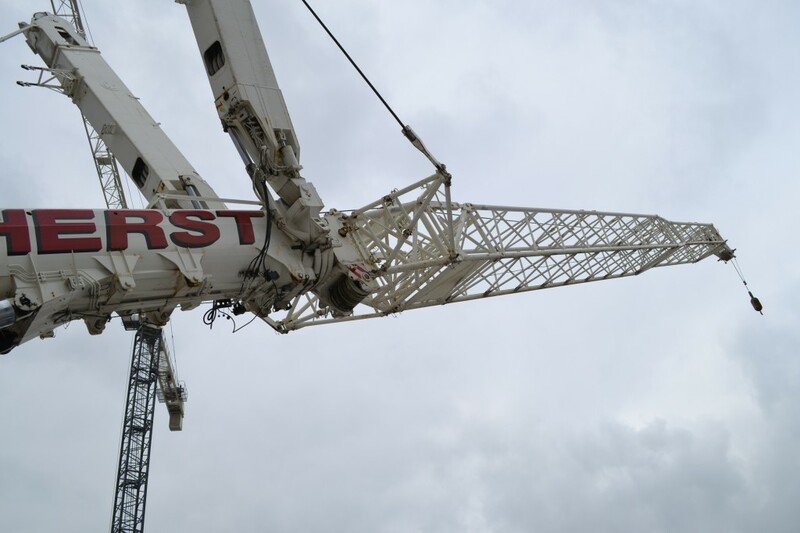 The arm that lowers each section of the crane into the site. 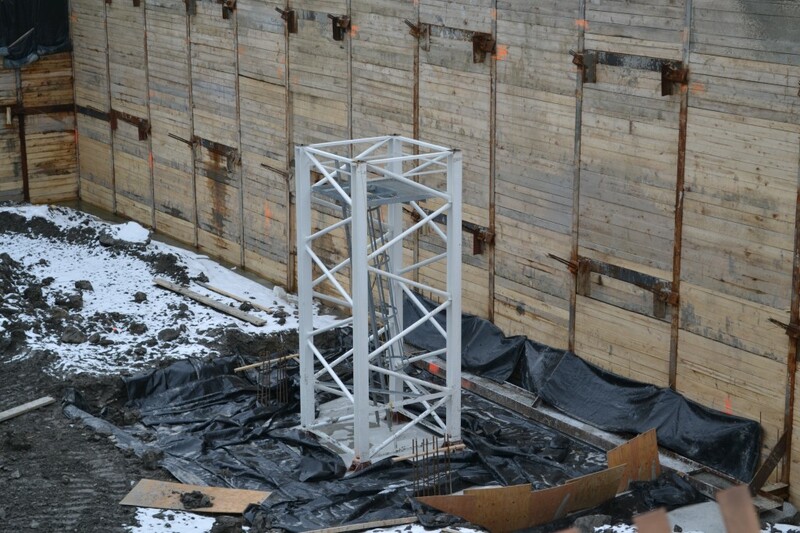 The base of the second crane. 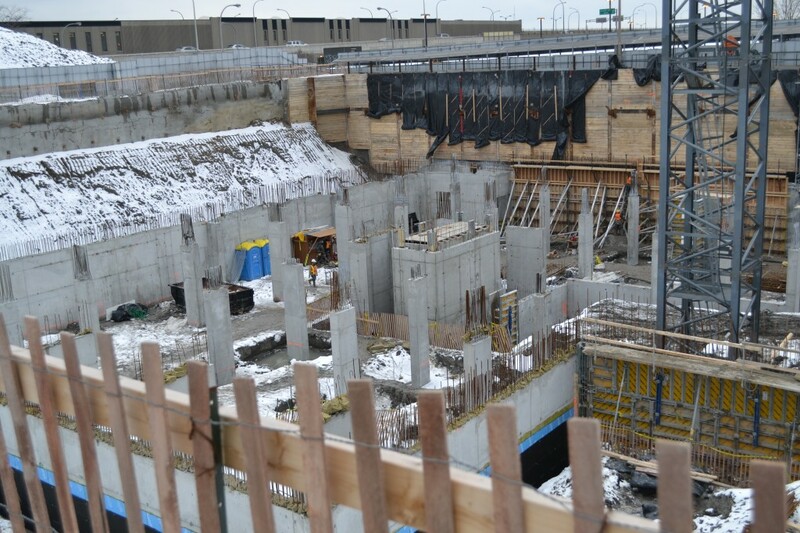 Work on the first 14 storey tower is moving along steadily. With the second crane up and the warm weather on its way, the pace of construction will pick up rapidly. The Station is a development by Brandy Lane Homes. For more info about call the sales centre at 416 398 9777 or email info@thestationcondos.com.